Parking lot lighting is important for the safety of your employees and customers. 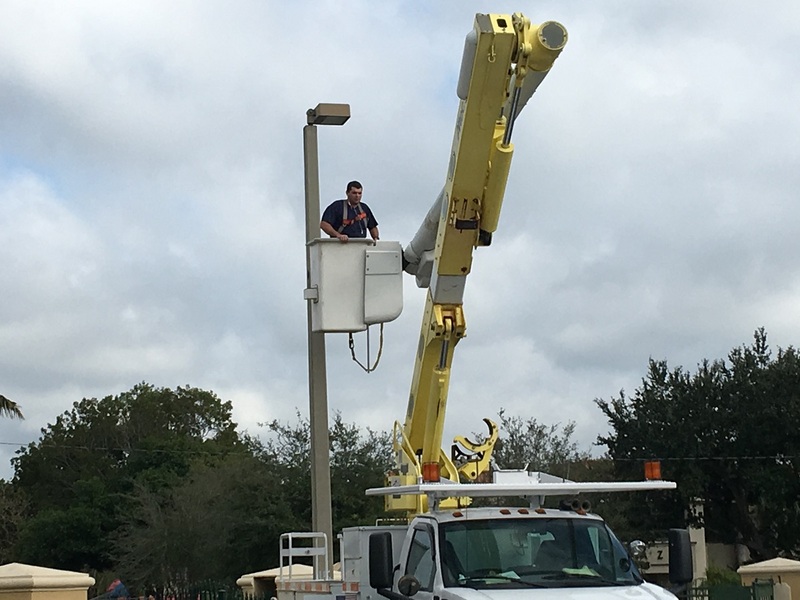 Our bucket truck service provides a variety of services for you from troubleshooting to repairs and replacement. Our electricians will also make suggestions if you request the need for more lighting in a certain area. Our electrician will always first check for power. If power is present he will conduct a test using a Ballast and Lamp tester this will determine the part that is malfunctioning. In most cases light will require a ballast kit or lamp. LED Lighting conversion kits our also available for pole lighting. These kits wire into your existing electrical system to convert your existing light. LED lighting will provide you with many years of low maintenance with energy savings cost. 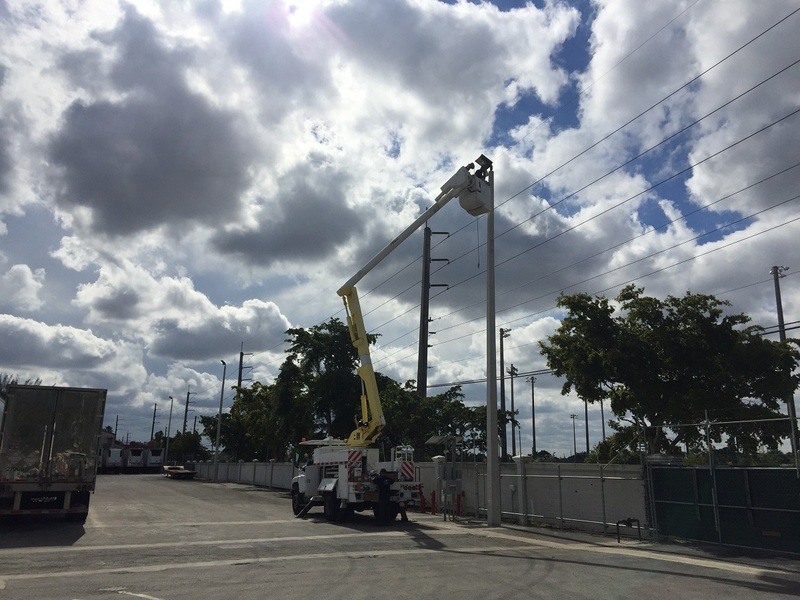 Electric Service & Repair provides bucket truck electrical services to any area in the South Florida region including Miami-Dade County (Miami), Broward County (Fort Lauderdale), Monroe County, and Palm Beach County (West Palm Beach). These services range from parking lot lighting and street lighting to field and stadium lighting. 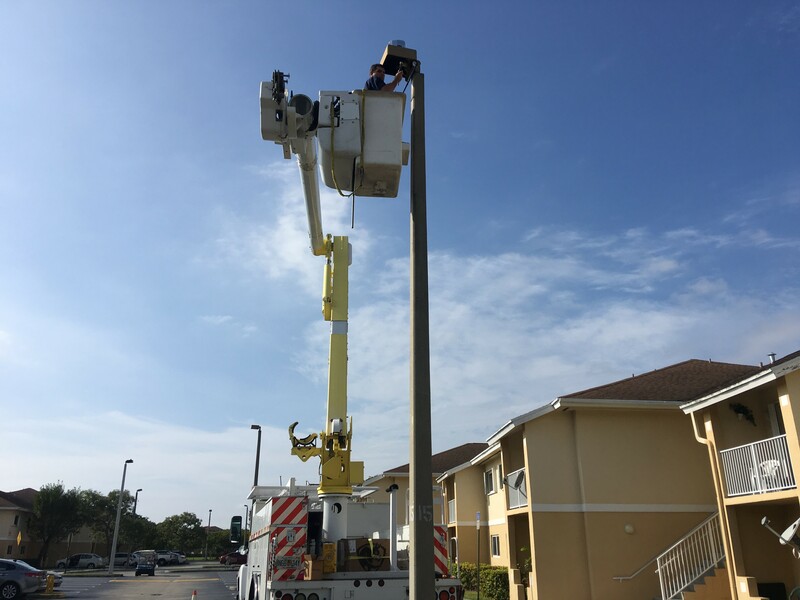 We are licensed and insured electrician serving the greater Miami, FL area, so give us a call the next time you need a bucket truck to access your electrical repair!